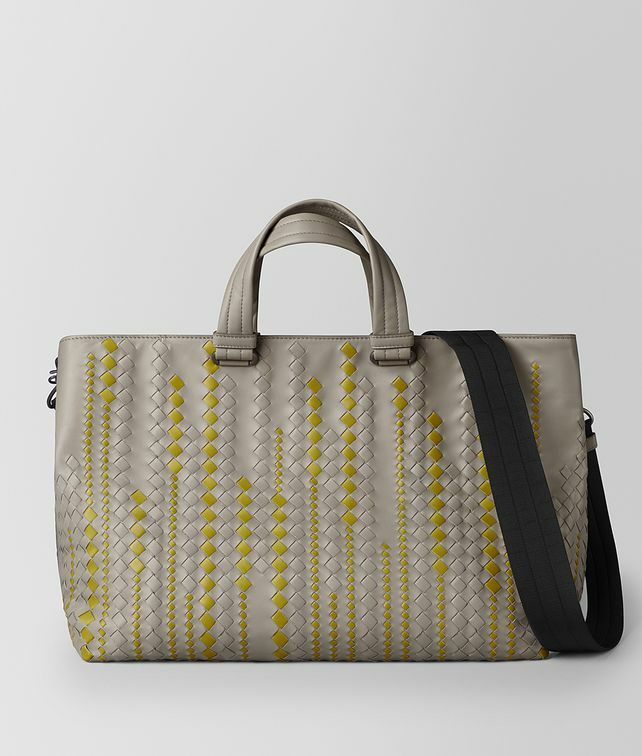 In the new micro-macro workmanship, this classic tote displays meticulous attention to detail with a variegated diamond intrecciato pattern, the house’s iconic motif. Crafted from supple calf leather, it features a detachable nylon shoulder strap, interior zip and phone pockets, and the signature brunito-finish hardware. Width: 44 cm | 17"
Depth: 18 cm | 7"